White walls can be a boring waste of space during the day, dull and dark by night . Why not add some color and life, use them to project your schedule, adjust your social calender, view the weather and tell time on demand? 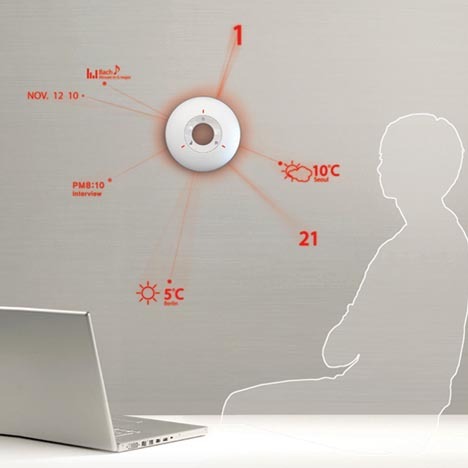 This clever little all-in-one gadget proposes to do all of the above, and perhaps even more. 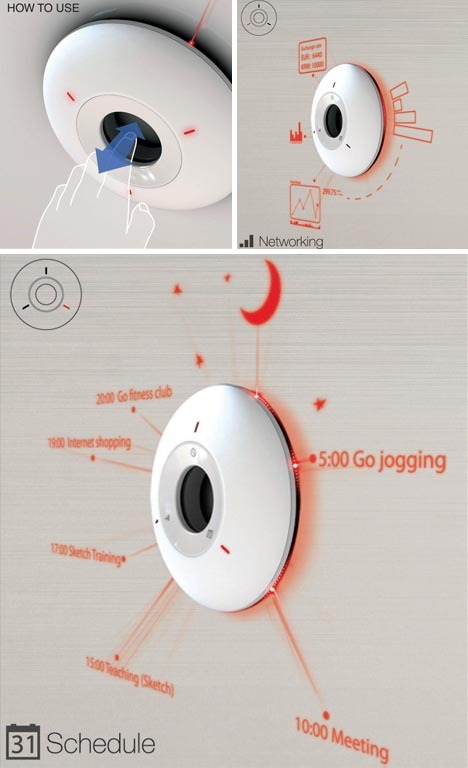 Yonggu Do, Dohyung Kim & Sewon Oh fashioned the device as a simple circular attachment – an unobtrusive, wall-mounted object that is activated by touch or via remote connection. Bluetooth, WIFI, and more – these days, all easy add-ons. 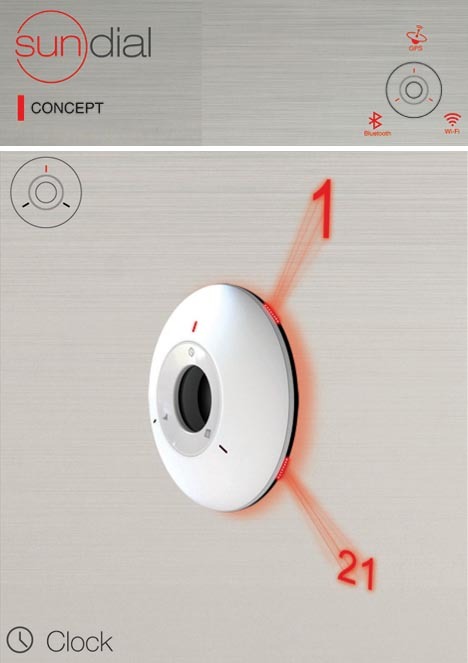 A music player (with laser-light display of what you are listening to) would not be difficult either. A series of lasers project digital information onto the flat surface surrounding the sundial, using familiar frames of reference for things like numerals one expects to see at a certain angle from center (making it easier to read from a distance, knowing the positions of hours and minutes and the relative size of the hands).